We are approximately 1.5 miles west of Hempstead. 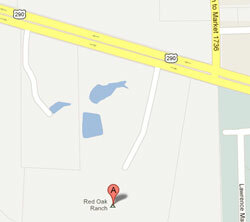 We are located on the east side next to the RV park. Coming from Houston, you will pass us and then have to do a u-turn to our driveway. Contact Us We are here to help you, so please drop us a line or give us a call. We try to respond to emails or voice mails within 24 hours. If you contact us on a weekend, we will reply by the next business day.